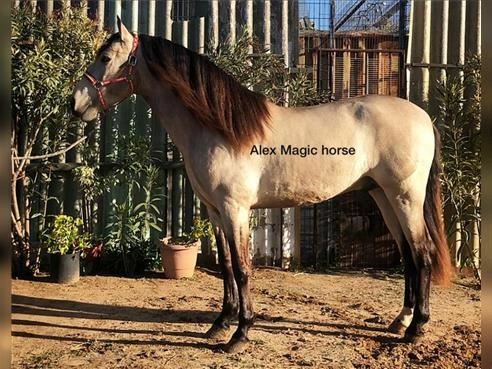 Super Pferd für Verkauf in Spanien!!! Hengst mit vollen Papieren (PRE) gute Blutlinie, 3,5 yo 1,63 Meter. Guter Charakter und ausgezeichneten Charakter (HEART OF GOLD). Grundschule!!! Kontaktieren Sie uns per Whatsapp, Facebook oder Mail danke! 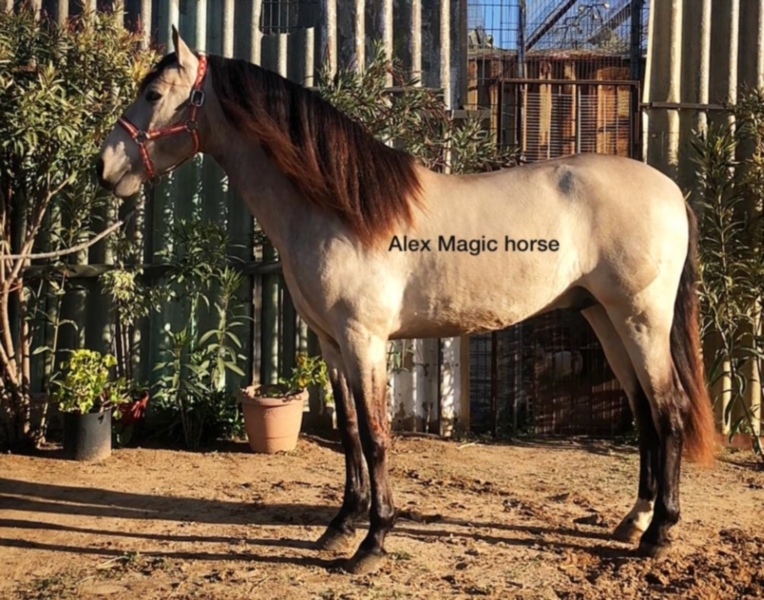 Amazing horse for sale in Spain!!! Stallion with full papers ( PRE) Good bloodline, 3,5 yo 1,63 meters . Good character and excelent character (HEART OF GOLD). Basic school!!! Contact us by whatsapp, facebook or mail thanks! 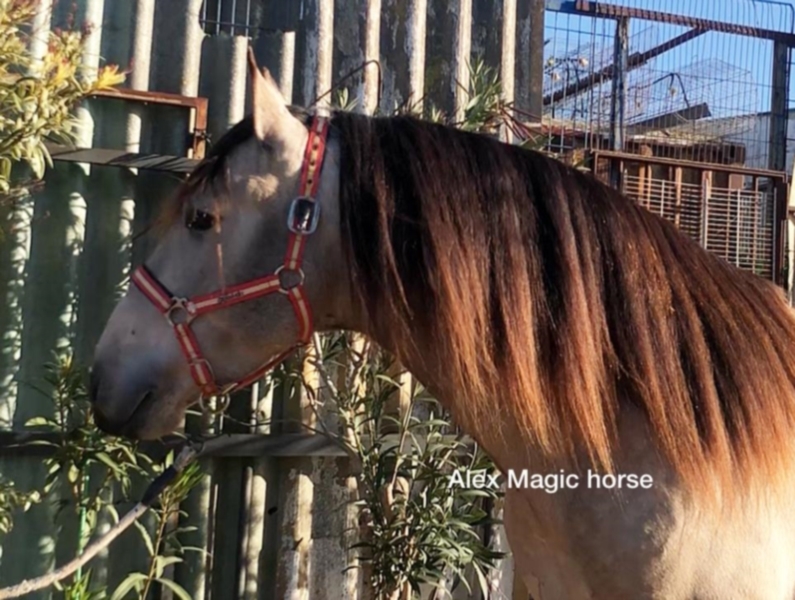 ¡Increíble caballo para la venta en España! Semental con todos los papeles buen linaje de (PRE), 3,5 yo 1.63 metros. Buen carácter y excelente carácter (corazón de oro). ¡Básico de la escuela!!!!!! ¡En contacto con nosotros por correo, facebook o whatsapp gracias! 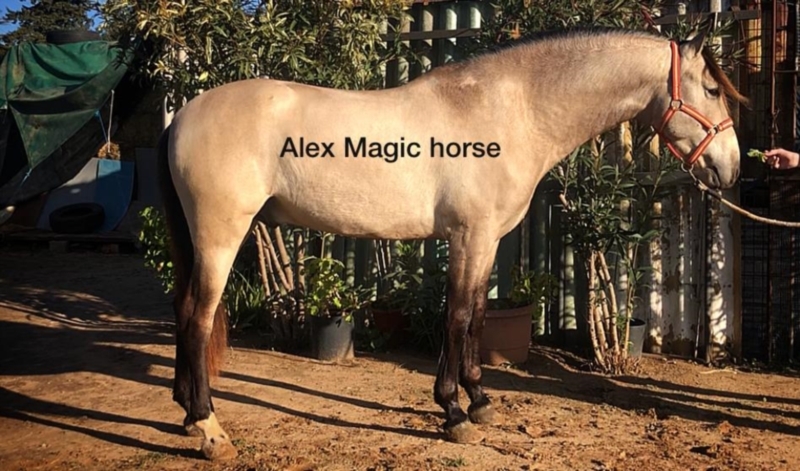 Magnifique cheval à vendre en Espagne !!! Étalon avec plein papiers bonne lignée des (GER), 3, 5 yo 1,63 mètres. Bon caractère et excellent caractère (HEART OF GOLD). École élémentaire !!! Contactez-nous par whatsapp, facebook ou mail merci ! Geweldig paard te koop in Spanje! Hengst met vol papieren (PRE) goede bloedlijn, 3,5 yo 1,63 meter. Goed zedelijk gedrag en uitstekend karakter (HEART OF GOLD). Basisschool!!! Contact via whatsapp, facebook of mail Bedankt! 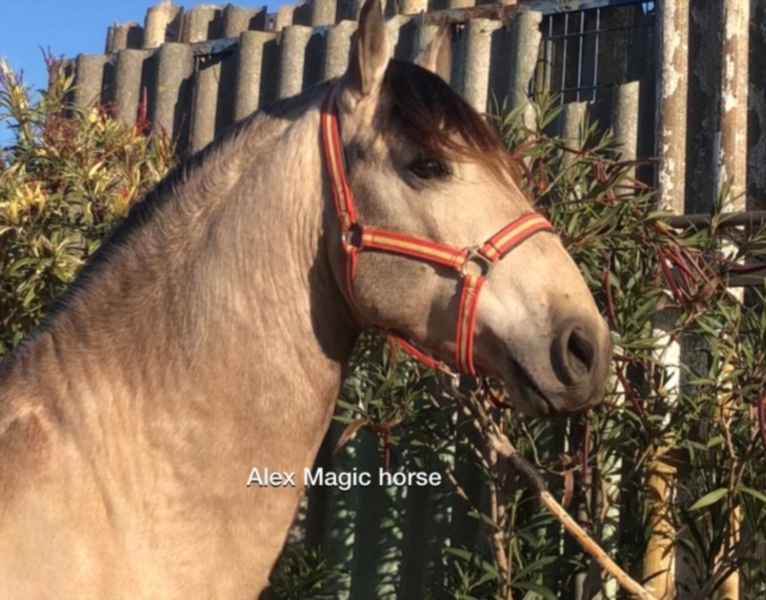 Alex Magic Horse offers more than 50 Horses available for sale in Spain .. Our horses are intended for leisure, show or competition .. From 3 to 16 years, passing the pond (s), gelding (s) or stallion (s) all our horses are very good in their heads with super mental and a lot of quality for the discipline of your choice. We organize all veterinary visits, transport .. Come see us and find your rare pearl! If you wish to contact us by WhatsApp, mail, pm or facebook! Hispano Arabian, Gelding, 9 years, 16.34 hh, Chestnut Hispano arabien For compétition!